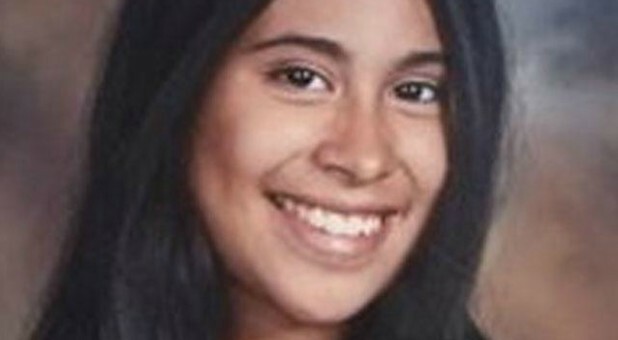 A seemingly healthy California middle-schooler died only four days after her mother says she was misdiagnosed with the flu. Now, her mother is warning other parents with sick children to press their doctors for further testing. Twelve-year-old Alyssa Alcaraz loved choir and had a passion for all music. "Not a day went by that she wouldn't sing her little heart out. Now she's singing with the angels," her obituary stated. Alyssa's mother, Keila Lino, says when her daughter wasn't feeling well, she took her to an urgent care center where she was diagnosed with the flu, told to rest at home and take over-the-counter medication to treat her symptoms. Three days later, Alyssa's mother reportedly took her back to a doctor, who determined her oxygen levels were low and immediately sent her to the hospital. However, by then it was too late. "Everything had already shut down," Lina told The Washington Post. Alyssa died the next day. Lino said she learned Alyssa died of cardiac arrest and septic shock stemming from a bacterial infection that spread to her bloodstream, causing organ failure. "I'm just shocked that that's what took my baby," Lino said, adding that if her daughter had been properly diagnosed, her illness could have been "fixed with blood work and antibiotics." Lino has not disclosed whether she will pursue legal action. For now, she is concentrating on trying to prevent her tragedy from happening to someone else during this busy flu season, when doctors are overwhelmed with patients. "All I can do now is tell other mothers to push their doctors to do further testing," she said. The U.S. Centers for Disease Control and Prevention reports nationwide, six times the number of flu cases this year compared to last. As an example of the widespread nature of this year's flu outbreak, a Charlotte, North Carolina-area school closed today because of the number of students with the flu. For the first time in school history, Carmel Christian school in Matthews closed due to massive sickness. At least 160 students have contracted the virus. Meanwhile, while the school is empty, administrators hired contractors to disinfect the entire building. Each year, the CDC estimates up to 35 million Americans get the flu, resulting in between 140,000 to 170,000 hospitalizations. Between 12,000 and 56,000 people died from complications from the flu. The CDC says the best way to prevent getting the flu is by getting the flu vaccine. Although the health organization recommends getting one in October, it's still not too late. However, it might take up to two weeks for the flu shot to become fully effective. "Flu vaccination can reduce flu illnesses, doctors' visits and missed work and school due to flu, as well as prevent flu-related hospitalizations," the CDC states on its website, "In 2017, a study in Pediatrics was the first of its kind to show that flu vaccination also significantly reduced a child's risk of dying from influenza." Health experts say in addition to getting a flu vaccine, other ways to prevent getting the flu include keeping your hands clean and staying away from people who are sick. If you do come in contact with the flu virus, a strong immune system can help to fight it off. 3. Manage stress: prayer and exercise. 4. Eat right: Consume lots of vegetables while avoiding sugar and processed foods. 5. Get probiotics and prebiotics to build good gut bacteria. 6. Coconut oil is a natural antimicrobial.